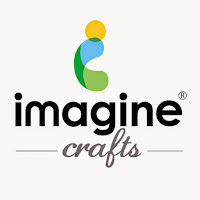 I am on the Imagine Crafts blog today with a fun card for the man in your life. I'm stunned! That woodgrain looks gorgeous - and I love the ribbon banner! Wow, wow, wow!! I love this card sooo much!! 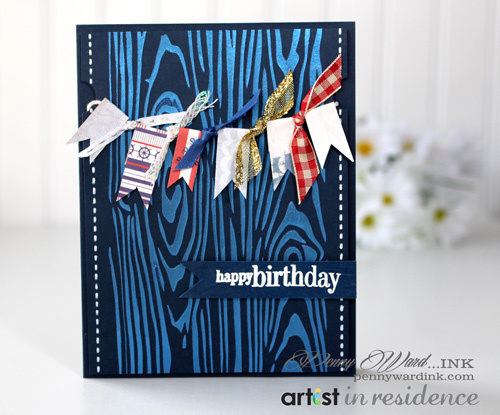 the nautical flags are fab and the wood grain is so graphically delicious!! Love everything about it!! This is perfect!! I love this for a masculine card! 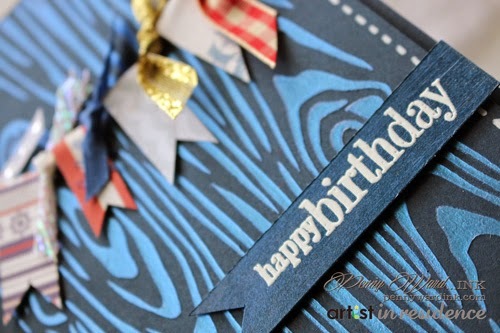 The blue wood grain background it stunning and love that banner! Fabulous card Penny! I love the ribbon banner you've created it looks fab. Awesome and totally fabulous - that is what this card is - love the woodgrain and the great colors!! That banner is super fun and cool! !